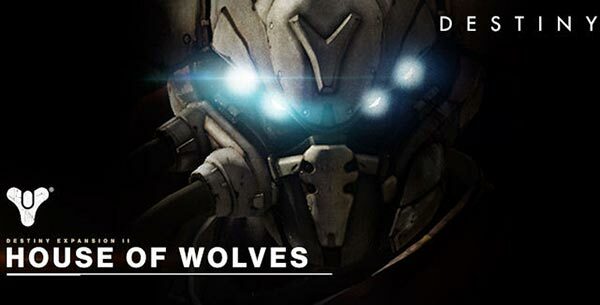 From Bungie, the creators of Halo, and Activision, the publisher of Call of Duty, comes Destiny, the next evolution in interactive entertainment and an epic adventure unlike anything players have experienced. Brave New Worlds – Destiny will instantly draw you into a universe of heroes and legends, with worlds and storytelling crafted by Bungie, the creators of Halo – one of the most beloved and critically acclaimed entertainment franchises of all time. A Connected Universe – Destiny is more than a disc in a drive, it is a persistent online universe filled with many players. As the story grows and expands over time, so do the destinations you can access, the activities you experience, and the rewards you can earn. Public Events – Contained within some of Destiny’s public spaces are realtime dynamic events that players and Fireteams in the area can choose to engage in. These Public Events are short skirmishes where multiple players work together to defeat their common enemies and collect awesome loot. Classes – Destiny features three unique classes to choose from, each with their own custom looks and abilities. You can crush your enemies as a Titan, vanquish foes as a crafty Hunter, or unleash incredible arcane energies on any adversary as a Warlock. Titan – The first Titans built the Wall, and gave their lives to defend it. Now, you stand in the same high place, steadfast and sure, protecting all who shelter in your shadow. You hail from a long line of heroes, forged from strength and sacrifice. Our enemies may be deadly and merciless, but so are you. Hunter – Hunters once prowled the wilderness and wastelands, taking big risks for even bigger rewards. You're no outlaw—at least, not anymore—but making your own luck has always meant bending the rules. Your unique brand of daring and ingenuity is needed now more than ever. Warlock – Warlocks have long studied the Traveler, mastering some of its arcane energies. Its true purpose still remains a great mystery, but discovering truth has always driven you into the unknown. Now, our enemies are the only thing that stands between you and the lost wonders of our Golden Age. 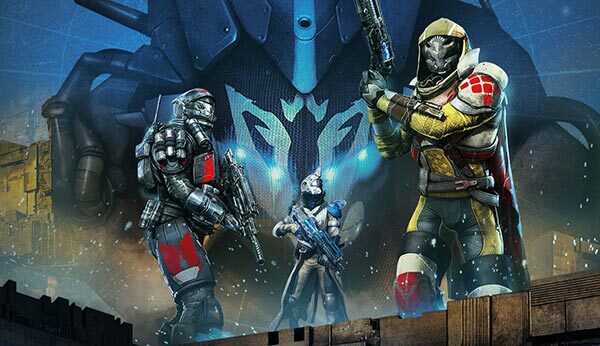 Explore Destiny – Explore is an activity where you can visit – and revisit – worlds to fight enemies for upgrades, scout for loot and gear, take on missions offered by the City’s various Factions, and link up with other Guardians roaming the frontier. More free form and on-demand, Explore is one of the great ways you can control your own adventure. Strikes – Strikes are intense, arcade action-packed co-op missions where three friends or match-made players unite as a Fireteam to fight various enemy combatants, culminating in an epic boss battle. Full of storytelling, epic music, and social interactions, Strikes are accessible and fun for new players, yet still challenging for seasoned vets. Story – Destiny features a cinematic story, centered on your quest to discover, explore and take back the remains of humanity’s Golden Age. As a Guardian, you must venture into a wild and dangerous frontier to fight the ancient evil forces hell bent on humanity’s destruction. Competitive Multiplayer – The Crucible is Destiny’s competitive multiplayer mode, where you can hone your skills against other Guardians in various arenas spanning the solar system. Victory over other players earns rewards, some of which can only be obtained here.